Thursday evening, March 29, right when large parts of the world were going on leave for the Easter holidays, the Global Fund announced that it suspends its partnership with Heineken. The reason is the beer giant’s exploitation of young women who are being used as “beer girls” to drive sales in ten African countries. It’s a practice that exposes the young women to sexual exploitation and health risks. We take these allegations very seriously and have challenged Heineken to examine their operations and make changes to protect women from sexual exploitation and health risks,” said Peter Sands, Executive Director of the Global Fund, in the short press release. Announced at the World Economic Forum in Davos in early 2018, the partnership between the second largest beer producer in the world and The Global Fund to Fight AIDS, Tuberculosis and Malaria has raised grave concerns and received far-reaching criticism and scrutiny for obvious conflicts of interest. The Global Fund and Heineken entered into a partnership to fight infectious diseases in Africa. As part of the agreement, Heineken would lend its expertise in logistics and communications to support the Global Fund to better reach specific demographic groups that are most at risk of HIV, tuberculosis and malaria. Heineken would pair supply chain experts with logistics planners at the Global Fund to share expertise in demand-forecasting and quality control during shipment. This announcement is good news for global health and development. It is obvious that the Global Fund needs a way out of this ill-advised partnership and latest news provided a face-saving opportunity, says Kristina Sperkova, International President of IOGT International. But let me be clear, suspension is not termination. The whole drama also exposes the failure of the Global Fund to conduct a thorough analysis before entering into a partnership with an alcohol industry giant. At best, the Global Fund is unaware and at worst they decided not care about the range of unethical and deeply troubling business practices their partner Heineken is employing. After all, there is a whole book dedicated to the topic. This whole issue sheds light on profoundly problematic processes at the Global Fund. Eighteen years ago, the brewer was reprimanded for the first time in connection with the risky working conditions of the young women who had to use their charms to sell Heineken brands. After a group of aid organisations in Cambodia in Southeast Asia had sounded the alarm, the company presented a number of guidelines three years later which were supposed to offer better protection for the girls. The spotlight of the media and activists was focused on Cambodia, but as early as in 2003 Heineken realised that the same problems occurred elsewhere as well, such as in many African countries. Exploiting young women over decades is — shockingly — not the only Human Rights abuse that Heineken is guilty of. Another one is the serious allegation of “blood beer” that surfaced in 2013 because of Heineken’s conduct in war-torn Congo, where the company colluded with rebels and dictators to maintain and extend supply chains and distribution networks. Exploiting young women, colluding with rebels and dictators, inciting heavy alcohol use — Heineken has a track record of business conduct that puts profits over Human Rights. How could the Global Fund have missed these practices in their due diligence process before entering into partnership with the alcohol industry? After all, this is information that is easily availabe. It’s a google search away. And, there’s an entire book written by van Beemen, called “Heineken in Africa”, that the Global Fund should have read. I believe that the Global Fund keeps asking itself a similar question. Someone, or several people, obviously made a series of mistakes and miscalculations that culminated in the decision to enter into partnership with the alcohol industry, and then to NOT terminate it as more and more criticism was expressed. For IOGT International, I responded by making five points. And I think these points are highly relevant in the context of the Global Fund suspending the collaboration but not (yet) terminating it. The Global Fund completely missed to consider why Heineken wants this partnership and what the alcohol producer wants to gain from the partnership. The Global Fund completely missed to critically assess Heineken’s commitment to “responsible” consumption. The Global Fund completely missed the evidence about Heineken’s political activity that actually undermines the Global Fund’s core donors. The Global Fund completely missed to address the conflict of interest between its core business and the alcohol industry’s core business. The Global Fund completely missed to seriously engage with communities and to recognize how the alcohol industry works to perpetuate alcohol myths and to undermine independent science. Exploring the depth of each of these five points, gives a detailed picture of why Helen Clark’s tweet is so spot on. That the partnership is suspended is good, but that it is not terminated yet is bad given everything we know about Heineken in particular and the alcohol industry in general. 1 — What is Heineken gaining from partnering with the Global Fund? In the conversations with the Global Fund, they told us a lot about how respected Heineken is, how solid their “responsible drinking” policy is, that they had reached out to their community to see how they would accept it — and from all these considerations the take-home message was that “Heineken is a respected partner”. And the shocking insight is that the Global Fund did not consider why the alcohol industry giant is interested in the partnership, what they might want to gain. First, the alcohol manufacturers employ CSR as a means to frame issues, define problems and guide policy debates. In doing this, the alcohol companies are able to deflect and shift the blame from those who manufacture and promote alcoholic products to those who consume them. Second, the alcohol corporations promote CSR initiatives on voluntary regulation in order to delay and offset alcohol control legislation. The partnership with Heineken, a company that has a track record of Human Rights abuses is suspended, but not terminated. It means that the Global Fund is wiling to resume activity that gives more visibility, recognition and business opportunities to such a company. 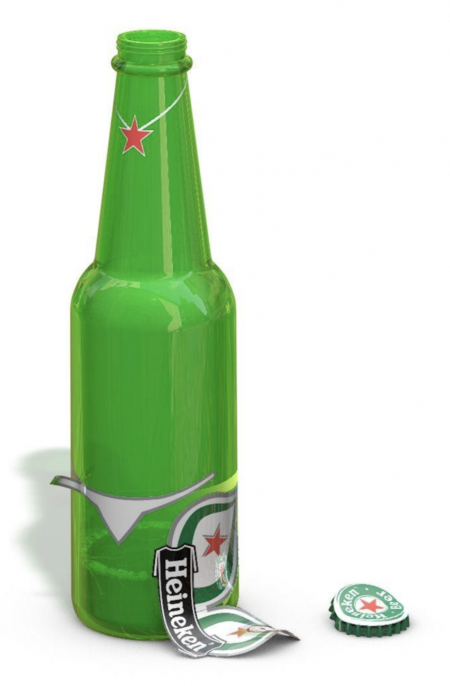 2 — Can we really believe Heineken’s commitment to “responsible consumption”? The Global Fund touts Heineken as a respected partner and repeatedly refers to their track record in promoting responsible consumption. The mind-boggling truth is that we do not need to look further than the beer girls case that let to the suspension of the partnership to see that Heineken incites heavy-episodic alcohol use. It’s actually the core taks of the beer girls to make customers consume as much as possible. Of course, Heineken’s brochures and policies look beautiful and sound professional and appear to be well-meaning. How the Global Fund could have been so naive to believe those is a mystery to me. Evidence from around the world (going beyond the sales practice of using beer girls) shows that Heineken, like the alcohol industry in general both encourage heavy alcohol intake and rely on it for major parts of their profits. Firms claim to support responsible [alcohol use], yet data shows those who consume at risky or harmful levels account for 60% of sales in England. In Britain in 2017, Amstel — a Heineken brand — is the fastest growing alcohol brand. And among the top ten alcohol brands in Britain, Heineken is represented with Strongbow. The alcohol industry depends on risky [alcohol consumers] who regularly exceed their recommended daily intake of alcohol to boost their bottom line, a report has found. In other parts of the world, the situation is the same. For instance in the United States, the top 20% of alcohol users account for well over half of the alcohol consumed in any given year. Consider that 30% of adults don’t use alcohol at all and that another 30% of adults consume less than one alcoholic beverage per week, on average. It means that up to 60% of adults virtually are not contributing to the alcohol industry’s profits. 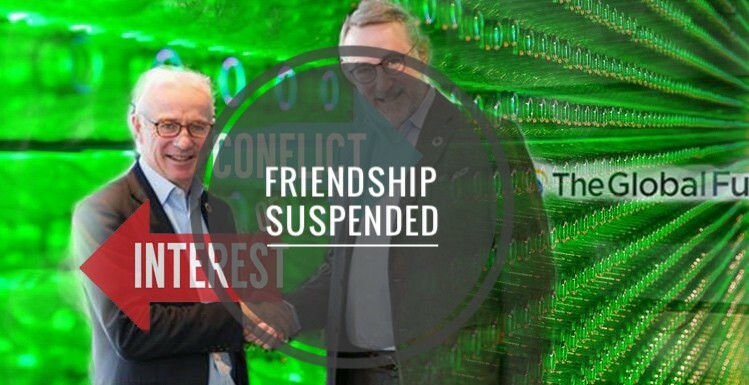 The Global Fund has suspended but not yet terminated the partnership, even though one of their strongest reasons for why partnering with Heineken was ok, is in fact proven wrong by overwhelming evidence. Even the case of beer girls in Africa shows that Heineken uses methods to incite heavy alcohol use. 3 — Where do the Global Fund’s resources come from? The Global Fund looks at two gaps, the financing gap and the gap in driving solutions as far as necessary. In their estimation the private sector can contribute in three ways: Funding. Delivery innovation to deepen impact and use of technology. Financial innovations. The main source of funding, however, is donations from countries. That means domestic resource mobilization is and remains a key priority. This consideration matters because it lays bare one more dimension of the fundamental conflict of interest. The Global Fund and the alcohol industry actually pursue competing interests. On the one hand the Global Fund needs countries to implement health promotion taxation to both reduce the disease burden and to increase the capacity to invest in health care and in global initiatives like the Global Fund. On the other hand, the alcohol industry is a staunch enemy of health promotion taxation because it cuts into their profits. Asia is our growth engine, and Heineken’s future depends on it,” said Frans Eusman, president of Heineken’s Asia-Pacific operations, per Nikkei Asian Review. With the beer girls in Africa, Heineken is replicating a strategy that it (and other alcohol giants) had employed in Asia since the 1990s, when a battle over the beer market was being fought, per reports from the South China Morning Post. Simply put, this means that the Global Fund actively engages in promoting an industry that works to undermine the resource mobilization of its most important donors. This looks bad for Peter Sands, an economist and banker. In an email to The Lancet in early November, Sands stressed that, “one of the things I want to do at the GF is strengthen the economic arguments”. In hindsight, Mr Sands is undermining his case for increased domestic resource mobilization by his very actions at the help of the Global Fund. I think it is also essential that leaders in the Global Health community like Mr Horton and Mr Sands recalibrate the attention given and the importance assigned to the business sector. 4 — Can both core missions be aligned? The simple answer is: No. The more complex answer is: Really not. Accelerating the end of AIDS, tuberculosis and malaria as epidemics is the Global Fund’s core mission. It’s front and center on their homepage. And to achieve this, the Global Fund mobilizes and invests nearly US$4 billion a year to support programs run by local experts in countries and communities most in need. Alcohol is also a major risk factor for HIV/ AIDS. Alcohol contributes to the spread of HIV/ AIDS, to the progression of the disease and it adversely affects treatment adherence. In a brand new study that is the first to quantify alcohol-attributable HIV/AIDS mortality burden for different socioeconomic strata, Probst C, Parry CDH, and Rehm J. find that age-standardised HIV/AIDS mortality rates attributable to alcohol are much higher for persons of low socio-economic status compared with high socio-economic status. Alcohol use contributed to the socioeconomic differences in HIV/AIDS mortality with an about sevenfold mortality rate among persons of low socio-economic status compared with high socio-economic status in South Africa in 2012. Alcohol is both a major risk factor and affecting those most in need disproportionately. Clearly, addressing alcohol harm should be core business of the Global Fund — to prevent spread of the diseases, mitigate risky environmental and behavioral factors, better manage disease progression and improve treatment outcomes by increasing treatment adherence. What good does it do to get the medication to the people and communities affected if the patients do not adhere to their treatment regimen? What good does it do to focus on the supply chain for last mile medication delivery (no doubt important), if the epidemic is fuelled instead of being prevented in the first place? Heineken’s corporate social responsibility activity must be understood in this context. While the alcohol industry pretends to do good, they work aggressively to undermine, block and/ or derail both scientific research and evidence-based public health policy making. These measures would help the communities that the Global Fund is supposed to serve. With these facts in mind, the continuation of the partnership with Heineken would mean that the Global Fund gave bigger priority to benefiting the alcohol industry instead of serving the most vulnerable and affected communities in the best possible way. 5 — Why did not anybody alert the Global Fund’s leadership about conflicts of interest? The Global Fund tries to project confidence about their due diligence process. They claim they also checked with the communities they work with — and no one raised conflict of interest concerns. Obviously the Global Fund missed to consult with a vast number of civil society organizations. For example, as late as November 2017, we were invited by WHO to speak at the First Ministerial Conference to End TB in Moscow about how we work to address alcohol as risk factor in the epidemics of both tuberculosis and NCDs. I presented the work that IOGT International members do in countries like Russia and Uganda to help and TB and beat NCDs. My point is that it would have been rather simple for the Global Fund to reach out to community organizations working on the intersection of alcohol and infectious diseases. They did not. This raises concerns over the extent and seriousness of their “community outreach” as part of their due diligence process before entering into partnership with the alcohol industry. This also speaks to the fact that the wider community responding to infectious diseases has been doing a poor job over decades of addressing alcohol corresponding to the burden it causes in both TB and HIV/ AIDS. In a way, the Global Fund might have fallen victim to its own shortcomings in prior years, years of neglecting such an important risk factor. With these five points the question remains: How on earth could the Global Fund have missed this? It’s not rocket science. At best, the Global Fund is unaware — which is a bad look for their due diligence process and partnership policy. And at worst the Global Fund decided not care about the range of unethical and deeply troubling business practices their partner Heineken is employing. The steps they take in the coming weeks and months, following the suspension of the collaboration, will determine which option it will be. The Global Fund has been touting Heineken’s positive track record in HIV/ AIDS and “responsible consumption”. Neither argument has been valid anyway. Simple google searches about Heineken’s track record beyond Heineken’s own website would have delivered the necessary evidence to the Global Fund. But the recent case of media attention to Heineken’s use of beer girls has ridiculed both arguments. Countries and donors like Sweden and Norway have spoken out. Civil society has spoken out. Global Health and development leaders have spoken out. First of all, the Global Fund needs a commitment to evidence and to evidence-based action that serves the people most affected by infectious diseases. Second of all the leadership at the Global Fund needs to reassess what constructive disruption means. Right now the credibility of the Global Fund has been disrupted and shaken up, nothing else. Heineken has ridiculed and embarrassed the leadership, especially Mr Sands. Thirdly, much energy has been wasted in dealing with an entirely avoidable disaster. All three points can be turned around. Suspending the partnership is the first, if still inadequate, step. by engaging in wider dialogue about incompatible partnerships and the obvious limitations and pitfalls of engaging the private sector, Mr Sands and the Global Fund can turn this mess into an opportunity. Originally published at IOGT International.